The colors of these two morning glories depend on the sky and change during the day. They are always contrasting: pink and violet, red and blue. Flowering for less than a day, their impermanence adds to their charm. I received this lovely cellphone photo from Shu’s mom, with the title, “Twins!” With the weather getting cold, I am surprised the morning glory is still flowering. 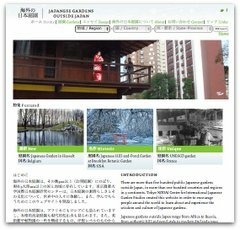 At Kuge Crafts‘ rear garden. 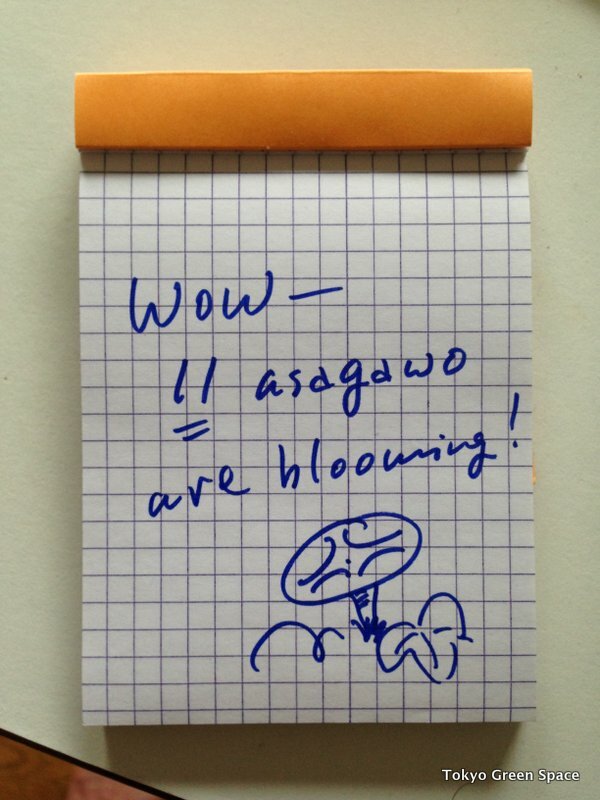 I woke up to this note today. 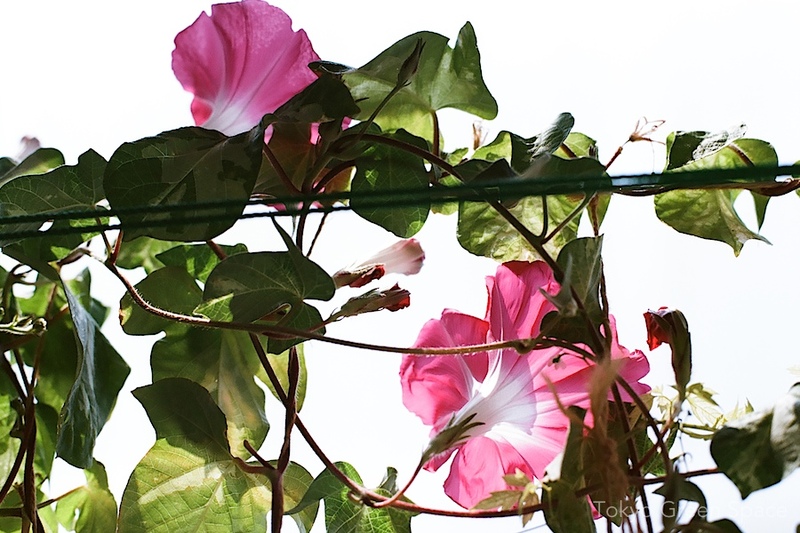 It’s getting colder in Tokyo, but I am happy to still see morning glory flowers on my mid-rise balcony. Just above is a salvia adding more purple to this narrow space. With my new film camera, a 10 year old model, I tried out a roll of black and white film. 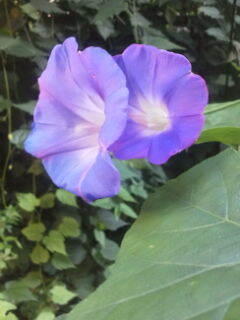 I like how the color is taken away from the deep blue flower and dark green leaves of this morning glory. 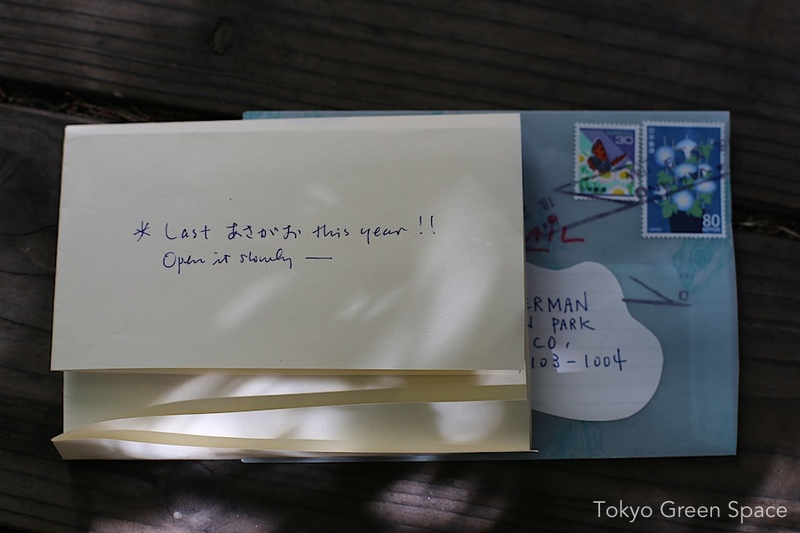 Instead you can see the form more carefully. I like how you can even see some of the many ants that have inhabited the balcony garden and green curtain. 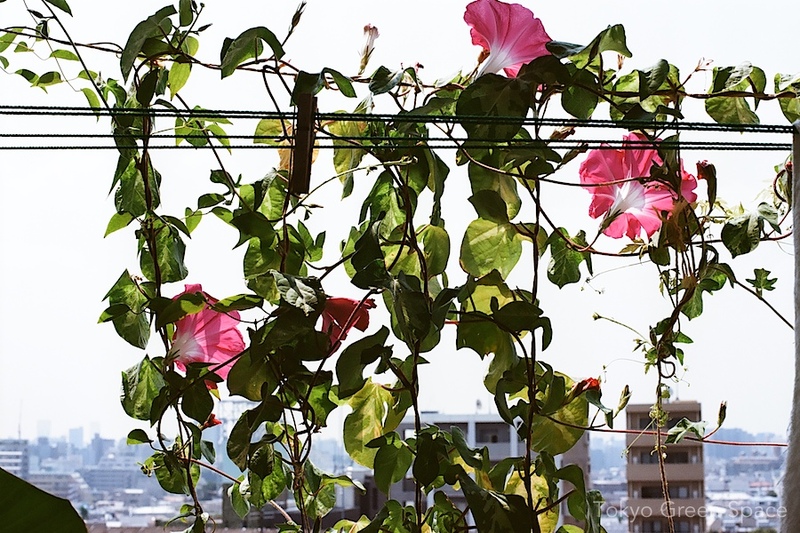 Every morning, lots of Okinawa morning glories are blooming on our balcony, and the green curtain is filling out. 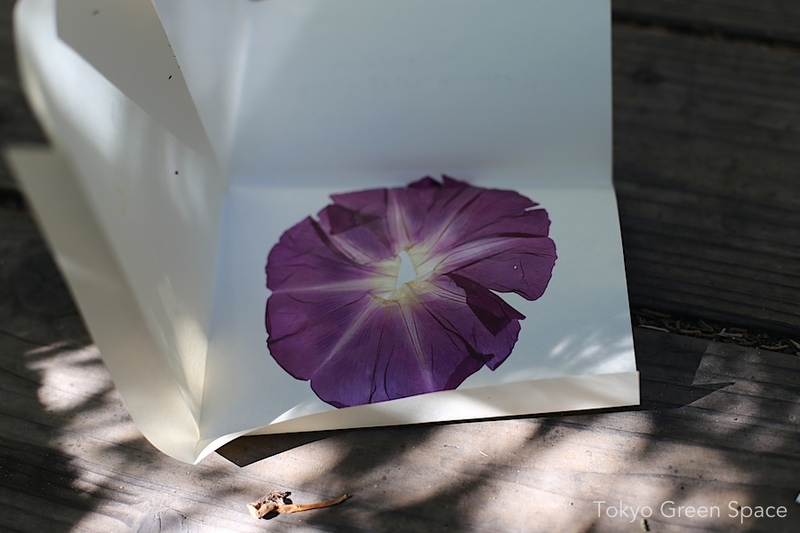 Unlike Edo morning glory plants, Okinawa morning glories are perennial. This year is the third summer we’ve had this deep blue flower. By noon, the flowers are already wilting. Because of energy conservation, we haven’t used the air conditioning yet this year. Also, by not using the air conditioning, there’s more space for me to enjoy the balcony garden.